Happy Monday! Did you have a nice weekend? We finally received some much-needed rain here in Southern California … snow in the mountains too! It’s March already and St. Patrick’s Day is around the corner. 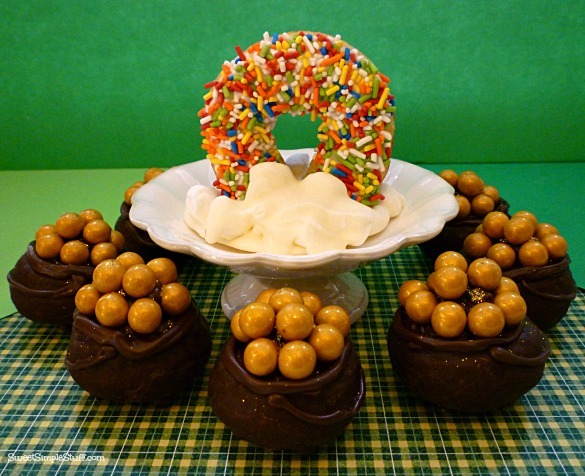 Last Friday, I shared my Rainbow Cronuts with you and promised Chocolate Pots of Gold. 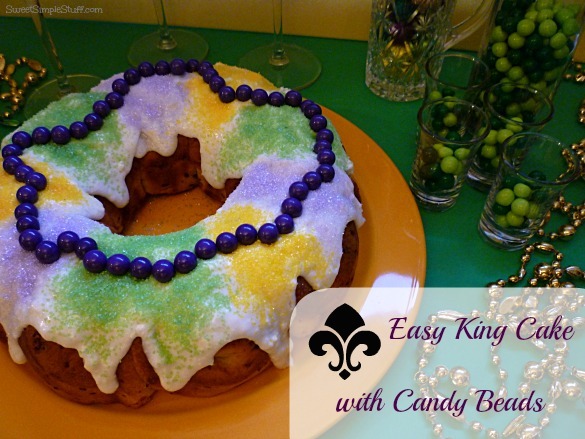 These were fun to make and were very popular with everyone, especially with the kids in the neighborhood! 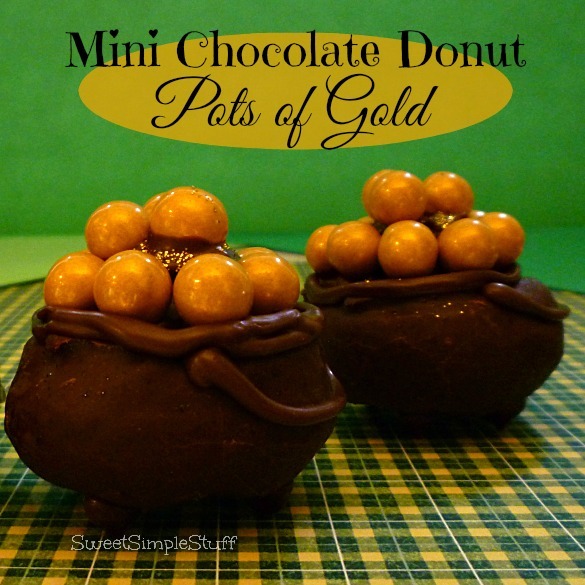 Using store-bought donuts, chocolate and Sixlets made the project especially fast and easy! Melt chocolate according to package directions and place in a squeeze bottle or pastry bag. 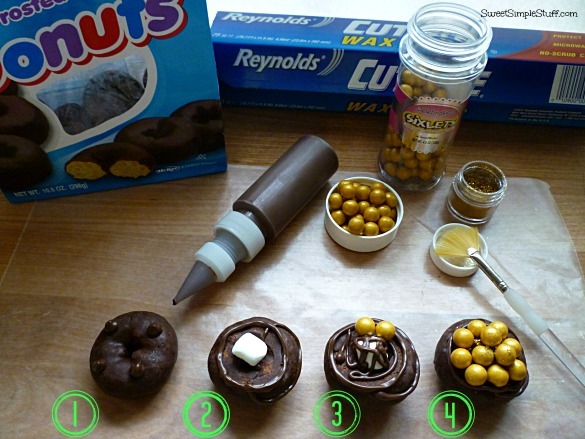 Make 4 chocolate dots (legs) on top of donut. 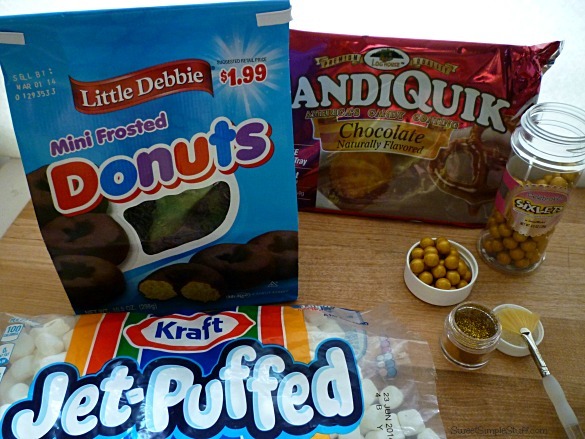 Turn donut over, use a some chocolate to attach a mini marshmallow in the center of donut. Pipe a chocolate handle and a rim (do it twice if necessary) around the flat portion of the donut. 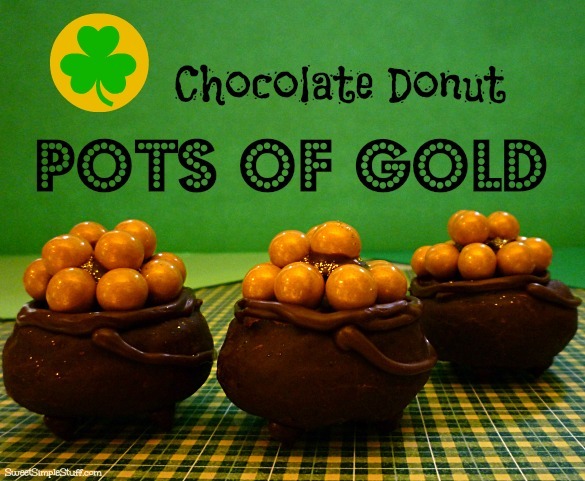 Use melted chocolate to attach gold candy. Use a brush dipped in gold Disco Dust to add some more sparkle. 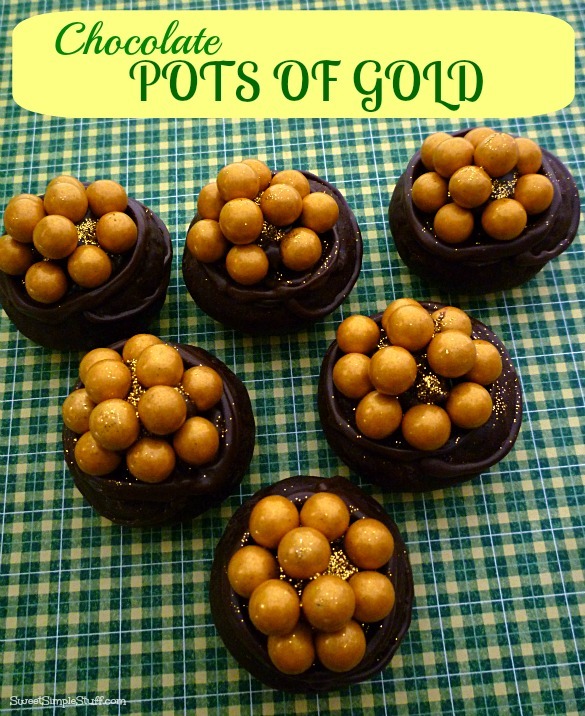 Chocolate Pots of Gold looks awesome as well as looking cute. Oh so cute – LOVE! These are too cute Brenda! So fun!